One of the biggest excitements for casino players is playing progressive slots online. These games have so far given away over $10 million and million-dollar winners are often reported on monthly basis. Some of the progressive jackpots are won randomly, while others require a specific combination of symbols to trigger the jackpot. 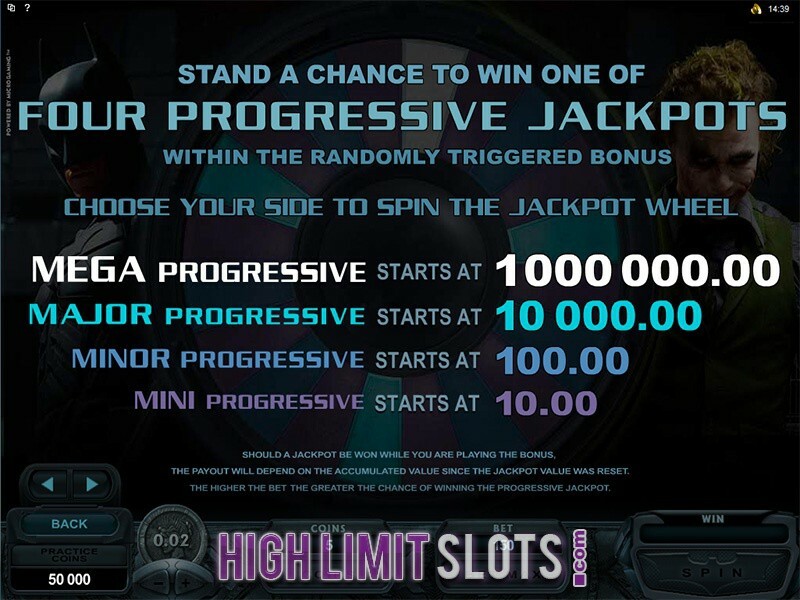 Nevertheless, the highest payout amount that can be won is by playing these progressive jackpot slots. That is why they are more popular than any other type of slot game in the casino industry. The jackpots these games offer can change someone’s life and that is what makes them appealing. Press the “spin” button and turn the perfect spin. The only thing left afterwards is to celebrate. Try and escape the hands of infamous Freddy Kruger and his sharp blades and ensure you do not become just another victim of his killing spree. Given that he only attacks in dreams, do everything necessary to stay awake and you will not only get to keep your life, but also pocked some excellent prizes in the process. 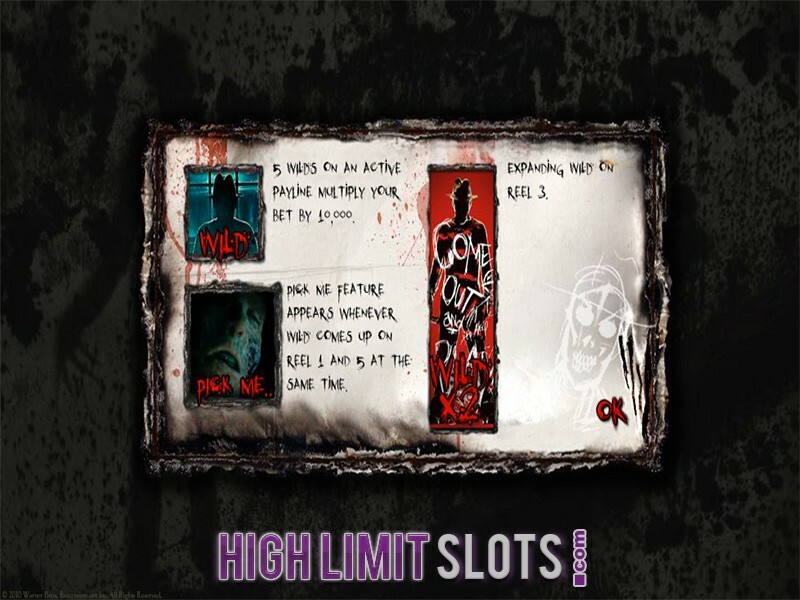 Allowing bets up to $300 per single spin, A Nightmare of Elm Street is likely to appeal to high rollers, especially as the 5 reel 30 payline video slot also comes with quite a few bonus rounds. And while five Wilds award 10,000 coins, you can also trigger Never Sleep Again bonus game, up to 30 free spins, Pick Me feature and Expanding Wilds. If you still need special incentives to try out the 888 Casino game branded on the popular 1984 motion picture, then how about randomly activated Nightmare on Elm Street jackpot and Freddy Krueger jackpot! Aztec civilization may have disappeared long time ago, but they have left all kinds of treasures, valuable artefacts and relics behind them. 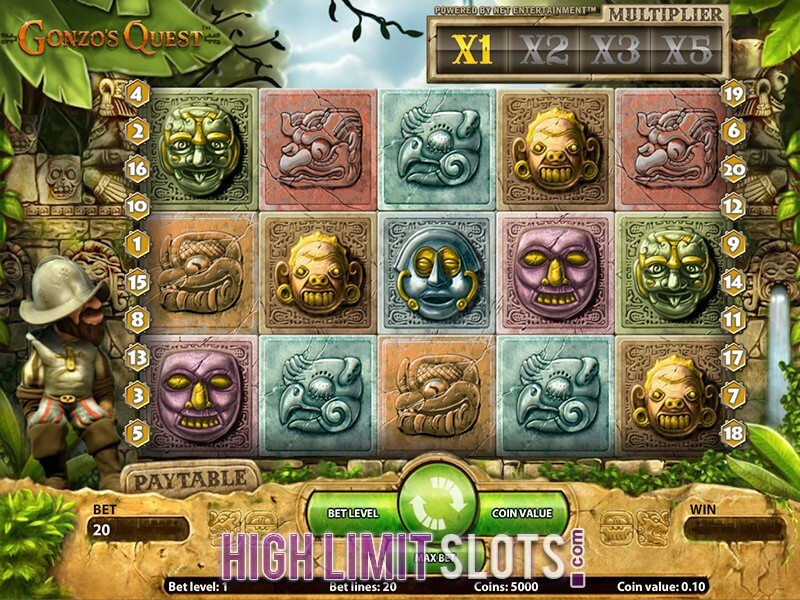 Play Aztec's Millions to explore this intriguing world and get your hands on some of the riches that can turn you into a millionaire. 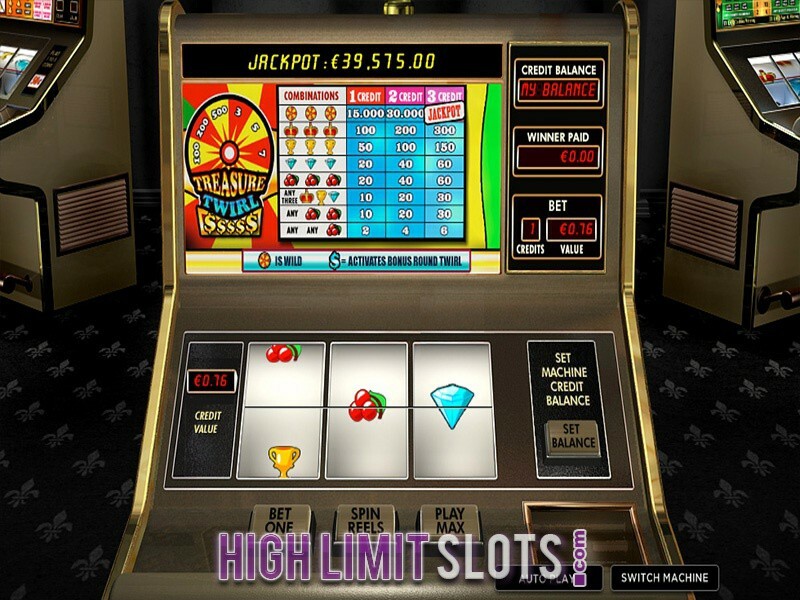 The Realtime Gaming slot comes with 5 reels, fixed 25 paylines and three rows of game symbols, some of which award excellent payouts even during normal play. Get at least three Idol Scatters anywhere on the reels for payouts of up to 100x your total bet and receive up to 25 free spins where all prizes are tripled at the same time. 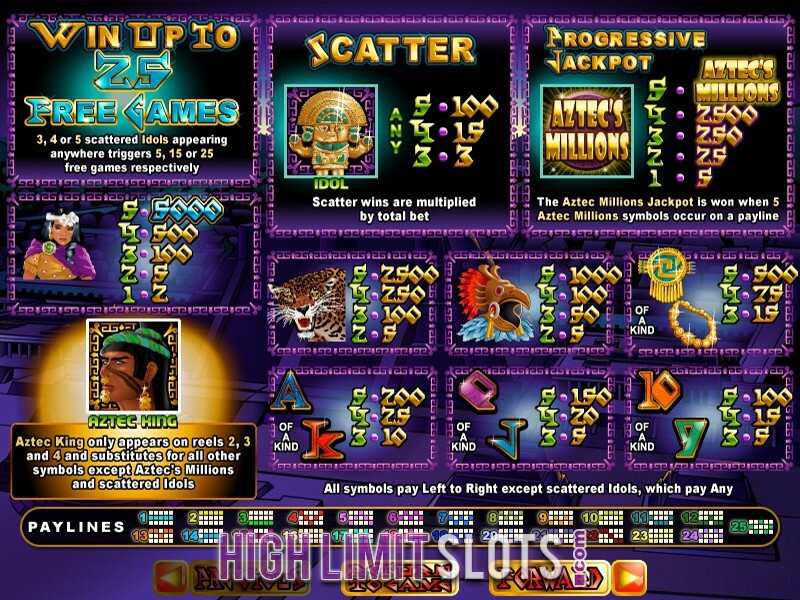 Receive five Aztec's Millions symbols on an active payline and you will have won the progressive jackpot which usually stands above the $1.5 million mark. Meanwhile, you can win payouts equal to up to 50,000 times your bet without even triggering the massive progressive jackpot. Beach Life is one slot you cannot afford to miss out on given the $8.2 million it has paid out to one lucky player in 2012. Its progressive jackpot averages at more than $3 million, which should be enough incentive to have a go at this 5 reel 20 payline video slot. Brace yourselves for a relaxing summer adventure and some colourful symbols populating the reels and creating winning combinations to help you win up to mind-blowing 100,000 coins without even activating any of the special features. 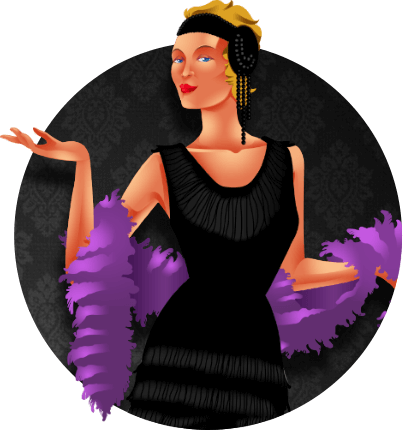 In order to trigger one of the highest paying progressive jackpots in the industry, you will need to get five Sunshine Wild icons on the 20th payline, whereas the same combination on any other line awards the aforementioned 100,000 coins. Scatter payouts and second screen bonus round are also in place to increase your line wins. Get ready for some gold mining with Playtech's Gold Rally that is anything but your average three reel slot machine. Gold prospecting has never been so entertaining, especially with potential rewards far outweighing the risks. 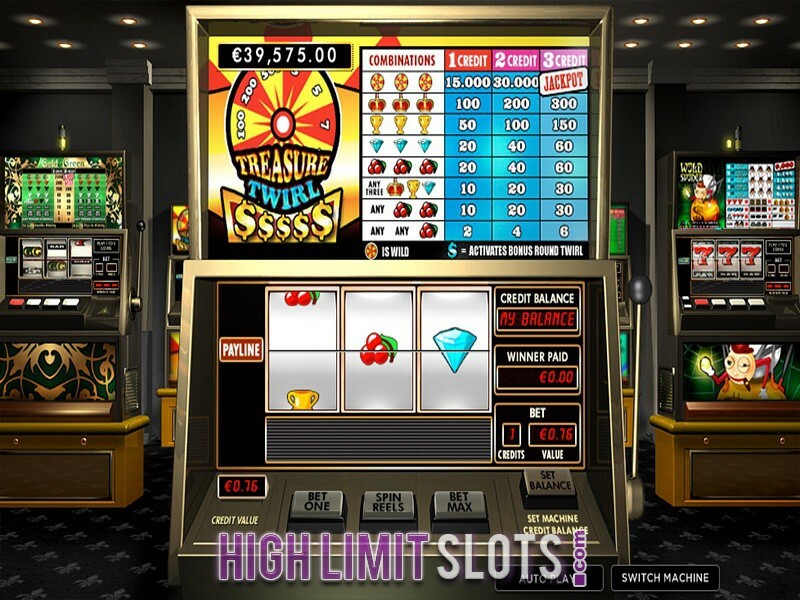 Featuring three reels, but no less than eight paylines and fixed coin value of €2, Gold Rally gives players plenty of chances to turn a profit and all that for maximum eight coins per single spin. Get four dynamite symbols to occur in all four corners to trigger a second screen bonus round where you get to explode different objects of cash. Five or more Scale Scatters located anywhere will multiply your total bet between 5 and 200 times, but get all nine of these icons to appear at the same time and you will win the progressive jackpot which usually stands at around €1,000,000. 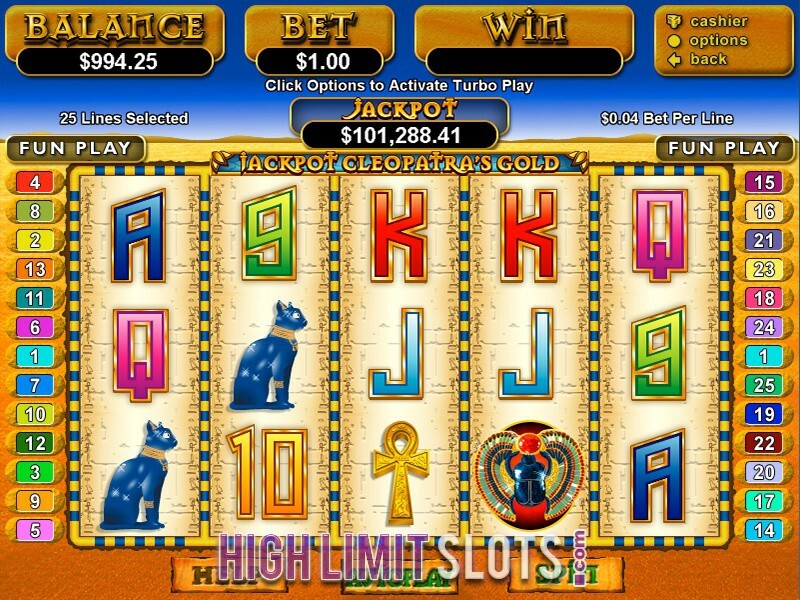 Jackpot Cleopatra's Gold is a new and improved version of the extremely popular Cleopatra's Gold video slot from Realtime Gaming, with the inclusion of high-value progressive jackpot clearly the most important addition. Chances are some online gamers won't be impressed by the fact bet size is fixed at $1, but where else would you get a chance to land a progressive jackpot of $300,000 or more on such a small bet? 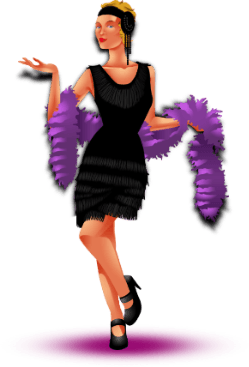 Simply get five Cleopatra symbols on any payline and the top prize will be yours. Landing the progressive jackpot is not the only way to win big, seeing as how scatter payouts can multiply your total bet up to whopping 500 times, whereas you can activate 15 free spins where all prizes are tripled. 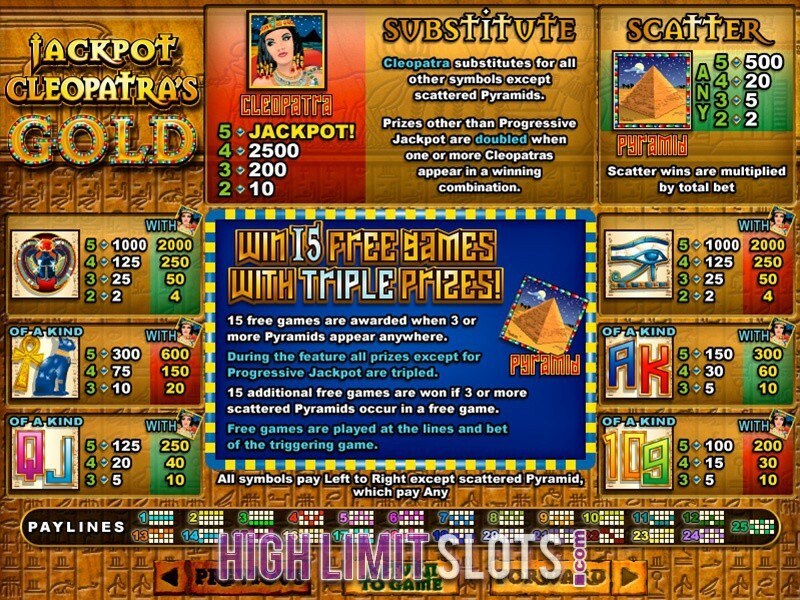 Play Jackpot Cleopatra's Gold at small stakes and still get high roller winnings! Get ready for the ultimate celebration where the piñata game has quickly taken the centre stage. And while you are used to the colourful containers being filled with toys and candy, the Jackpot Piñatas are packed with gold coins, multipliers and special bonus rounds. The 5 reel 20 payline video slot features enticing graphics and symbols like fireworks, presents and numerous party decorations populating the reels at all times, while giving you a chance to win up to 20,000 coins during normal play. Activate the Piñata Feature to reveal prizes up to 200 times the triggering bet, while earning 5, 10, 15 or 25 free games at 2x multiplier when the feature ends. 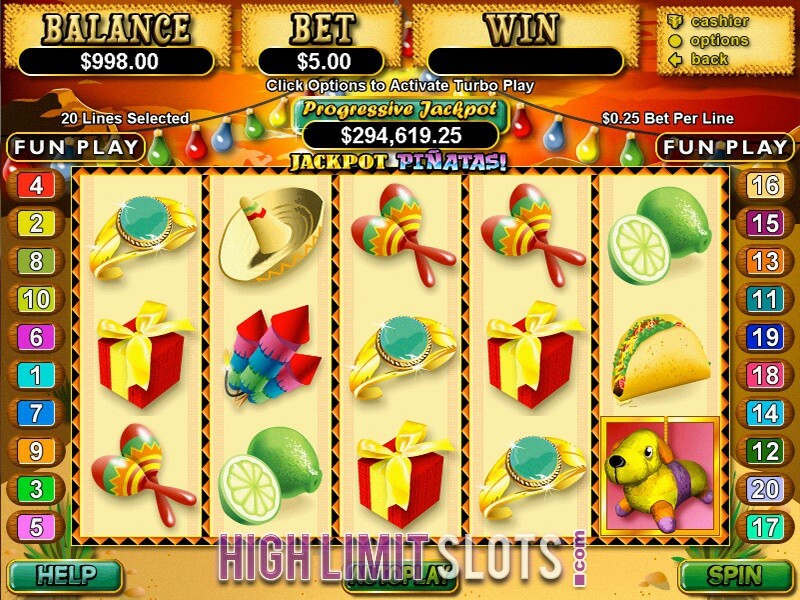 With the game's progressive jackpot often paying out $1,500,000 and more, Jackpot Piñatas look a perfect match for all online gamers looking for those big wins. An expert magician has come into town and he is a real master of his trade. Watch him perform some magic on the reels of Magic Slots and turn those regular game symbols into high-value winning combinations. 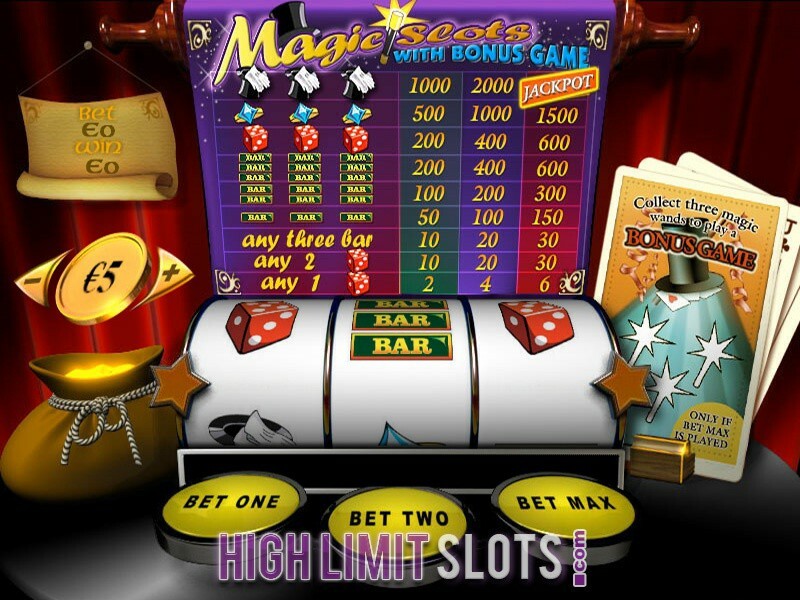 Magic Slots is an old-style slot machine that comes with three reels and a single payline, but it can still make you a very happy man. Collect three magic wands to start a bonus game where you pick a hat and are awarded instant prizes. While paying out up to 2,000 coins during normal game, the classic slot machine is also equipped with a progressive jackpot, which is awarded when you receive three magic hats on the only active payline while betting maximum three coins per spin. Brace yourselves for the ultimate battle on the reels of Major Millions progressive video slot, where the winner walks away with cash and gold coins as well as the bragging rights. The 5 reel 15 payline slot game allows you to bet mere 15 coins per spin and still be in with a chance of landing some hefty payouts. Major Millions may not be equipped with bonus rounds and free spins, but with payouts during normal game reaching 8,000 coins, there is really no cause for concern. Receive three, four or five Scatters anywhere to multiply your total bet up to 50 times. The high-value progressive jackpot is clearly the stand out feature here, especially given that it starts at $250,000 and averages at more than $500,000. Receive five Major Millions symbols on payline 15 and the top prize will be yours. 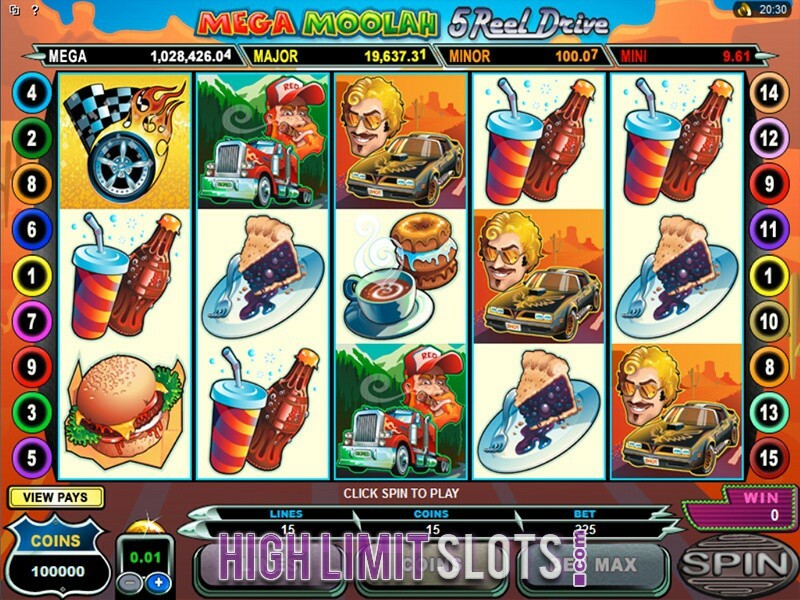 A hybrid of two unbelievably popular video slots, Mega Moolah 5 Reel Drive was always going to rock the world of online gaming, and the new slot has quickly lived up to its potential. 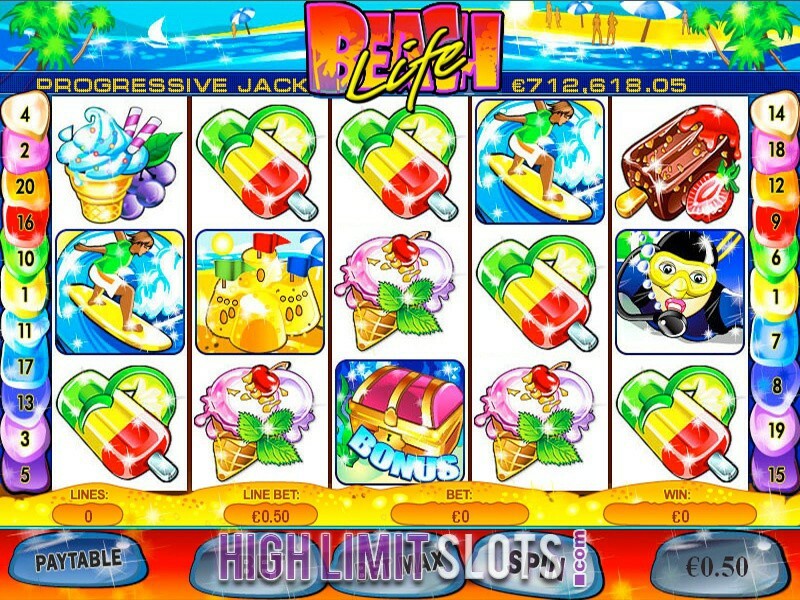 Its five reels and 15 paylines are populated by some colourful game icons which pay out up to 10,000 coins during base play. While the players can also take advantage of Wild symbols and Scatter payouts, the bonus round awarding 10 free spins at 5x multiplier is one of the best of its kind. Maximum bet may be just $15 per spin, but this video slot is a perfect proof that you don't have to spend much to be in with a chance of winning big. 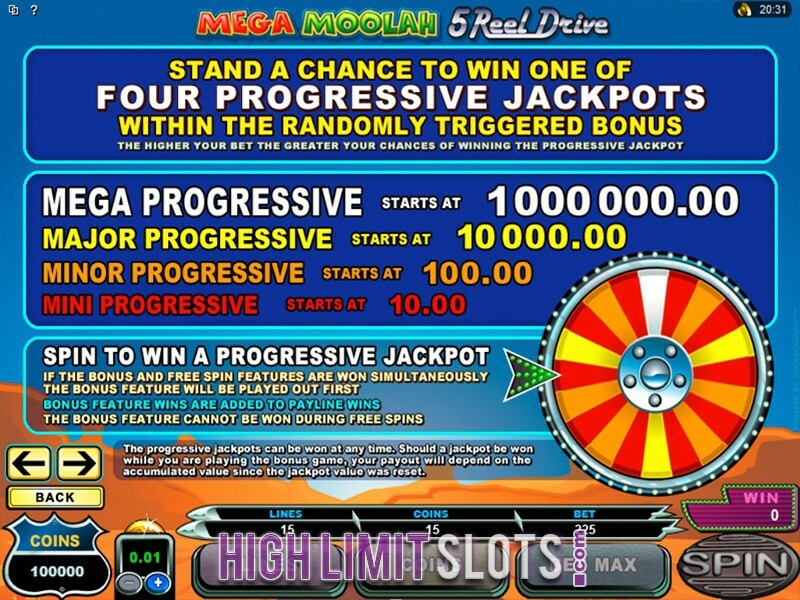 Having said that, if you are looking for life-changing payouts, Mega Moolah 5 Reel Drive is the perfect slot game for you, seeing that it is linked to four randomly triggered progressive jackpots, one of which stars at whopping $1,000,000. 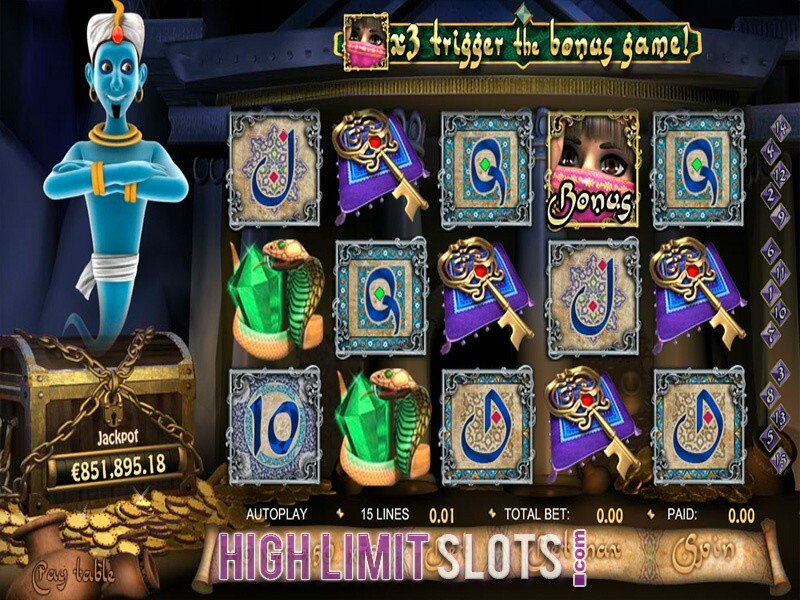 By incorporating the famous multi-level progressive jackpot into the Egyptian themed Isis video slot, Microgaming has created Mega Moolah Isis, a 5 reel 25 payline progressive slot that not only ensures quality gaming experience but also just keeps on giving. Big money prizes can be won even without triggering one of four progressive jackpots, with scatter payouts multiplying your total bet up to 600 times and Wild icons doubling any payout when they substitute for one or more regular game icons. 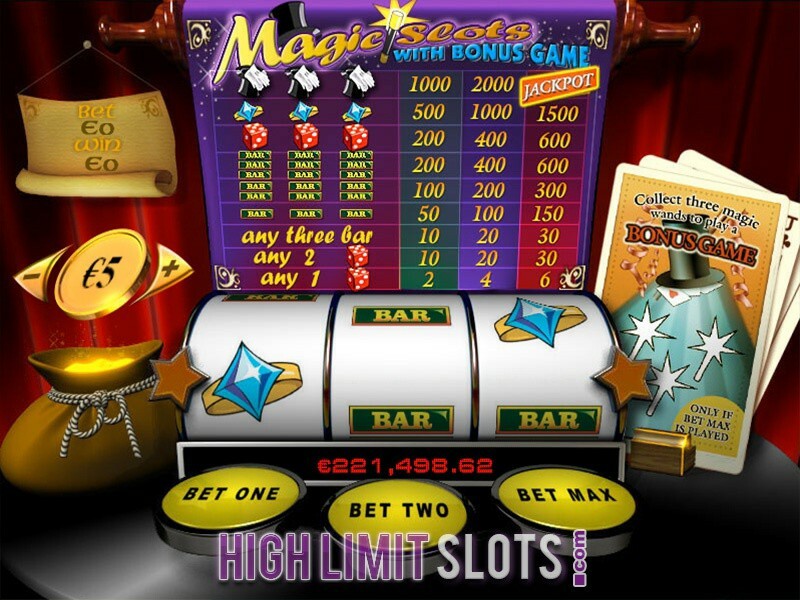 While gamble option is also supported, players can receive 20, 25 or 30 free spins where all prizes are multiplied by 6x, resulting in wins up to 600,000 coins. 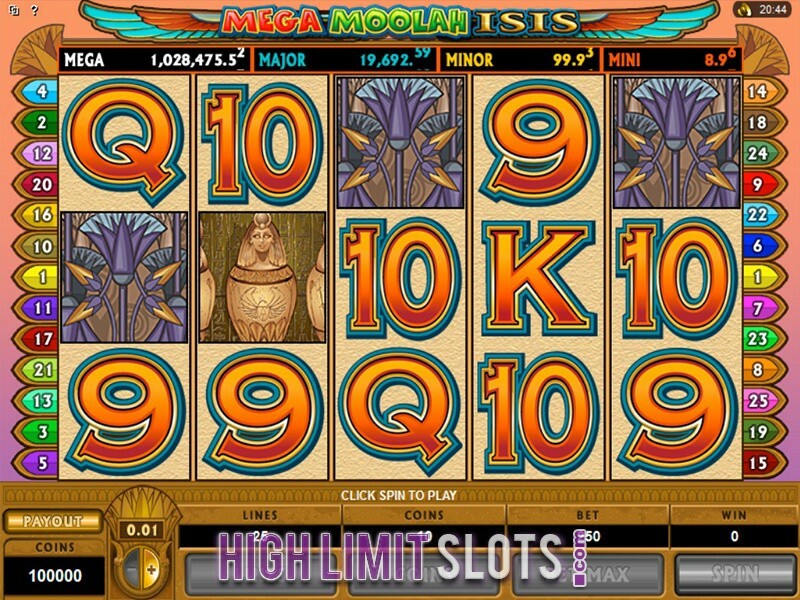 As if that was not enough, Mega Moolah Isis is equipped with Mega, Major, Minor and Mini progressive jackpots which are triggered at random and can land you well in excess of $1,000,000 depending on the outcome of jackpot bonus game. 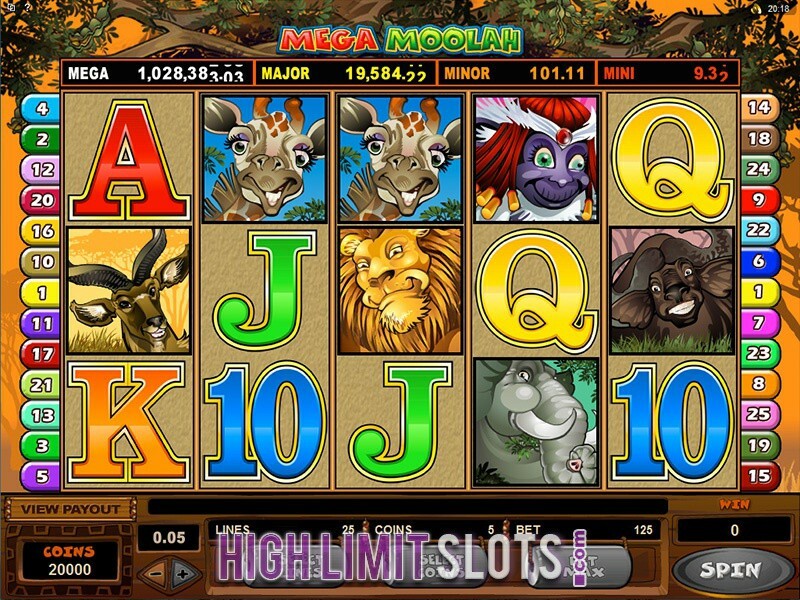 Arguably the most popular progressive video slot ever, Mega Moolah has changed the life of quite a few online gamers, having paid out in excess of $300,000,000 since it was rolled out by Microgaming back in 2006. Themed on the African safari, the 5 reel 25 payline slot is home to some adorable characters from the animal world that award payouts up to 15,000 coins during normal play. Get 15 free spins where all prizes are tripled and you could win up to massive 225,000 coins. The progressive jackpot bonus round may be triggered at random, but the more you bet the higher your chances of landing the big prize. And while Mini, Minor and Major jackpots can also deliver decent payouts, the holy grail remains the Mega progressive jackpot that starts at $1,000,000 and has paid out more than $8 million at the time. 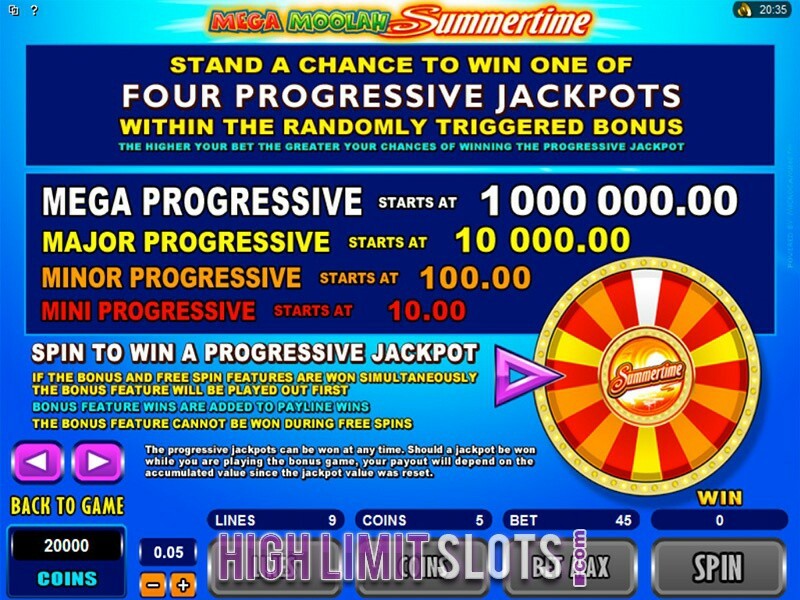 Once again, Microgaming has made a risky move of combing two video slots into one, but they have clearly pulled it off with Mega Moolah Summertime. The new slot resembles the Summertime game in many ways, but with four Mega Moolah progressive jackpots seriously adding to the appeal. 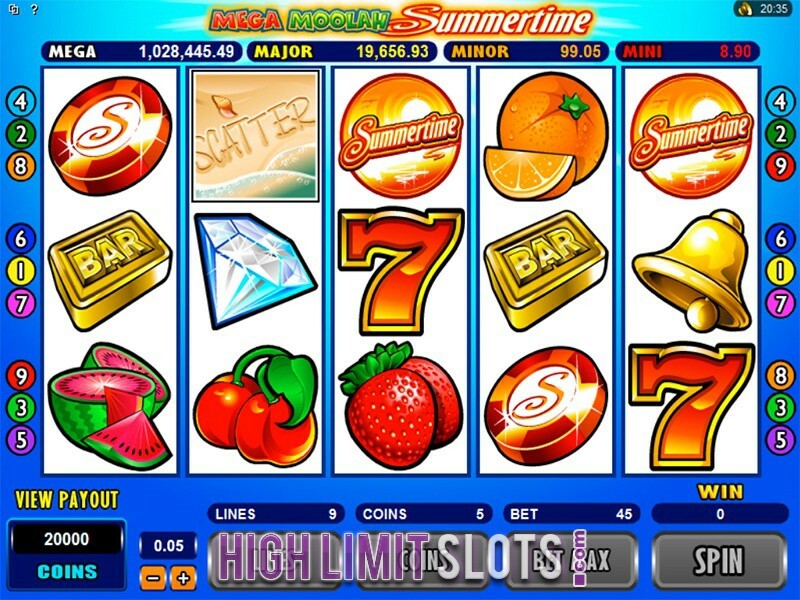 With Summertime logo acting as Wild, doubling all payouts when it substitutes in a winning combination, while awarding payouts up to 10,000 coins on its own, and Scatter icon multiplying your total bet up to 500 times and awarding 15 free spins at 3x multiplier, Mega Moolah Summertime has the potential for some hefty payouts. If you get a smile from the Lady Luck and trigger the bonus feature, you will then spin the wheel to reveal which of the four jackpot amounts you have won. Mini, Minor, Major and Mega start at $10.00, $100.00, $10000, and $1000000 respectively. Once the largest kingdom in America, Inca Empire has long ago ceased to exist, but the Spirit of the Inca still hovers around. 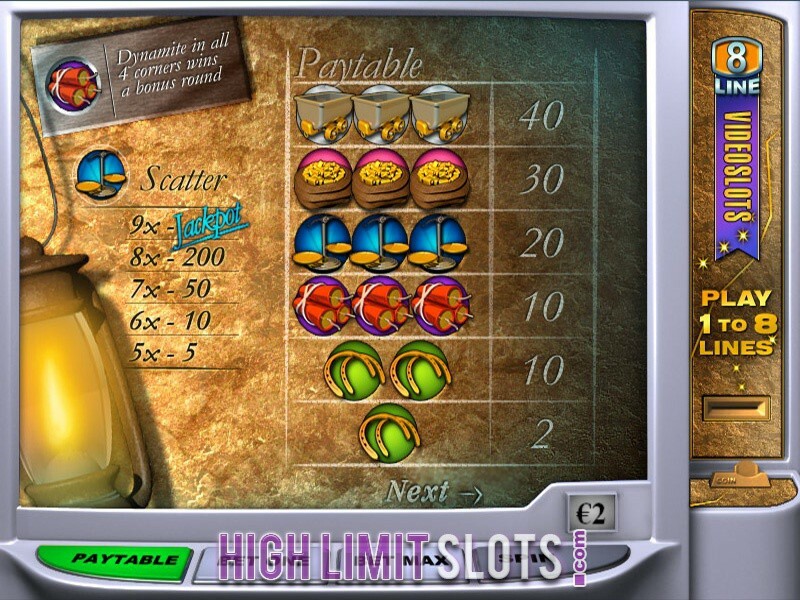 Get acquainted with the lost civilization through Realtime Gaming's historical slot machine and take full advantage of its unbelievable payouts. 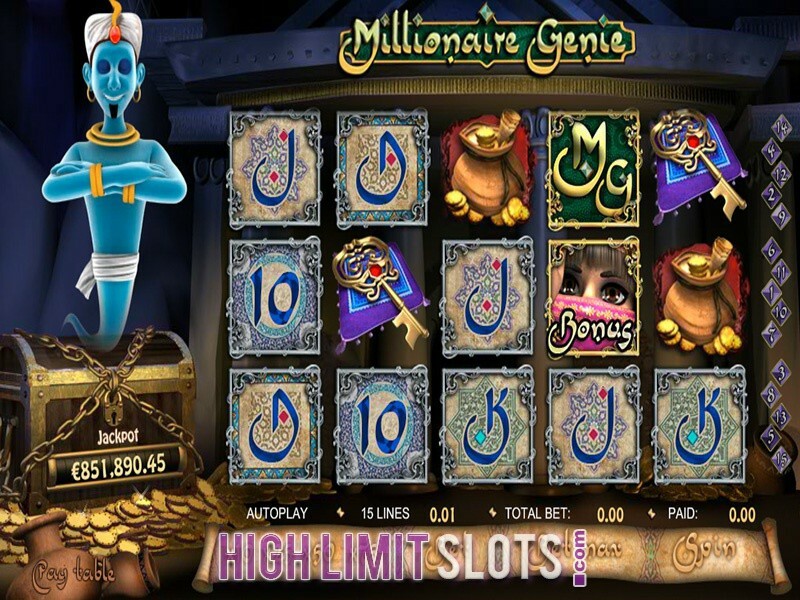 Online gamers will be blown away by the expertly designed game icons that depict different treasures and artefacts, and populate 5 reels and 25 paylines. Get up to 100x your total bet with Priestess Scatters or receive up to 25 free games with multipliers up to 10x when Incan Spirit Wild occurs on reels 1 and 5. 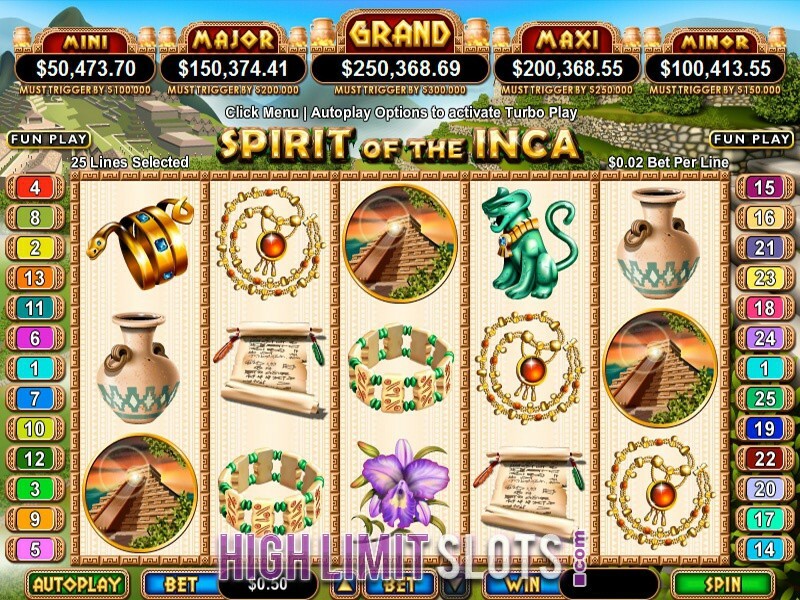 Spirit of the Inca is equipped with no less than five progressive jackpots and the best thing here is that all of these must be triggered if they reach a set amount. This means that players have a good idea when these Boiling Point jackpot are about to strike, which gives them an extra edge over the casino. 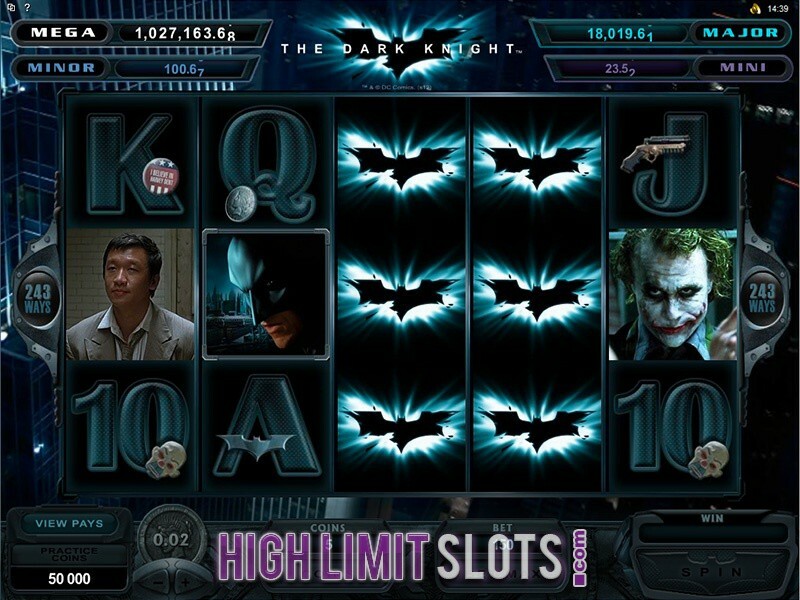 Themed on the 2008 superhero movie from the Batman series, The Dark Knight progressive video slot from Microgaming will blow you away with scenes and characters from the original motion picture as well as some unbelievable payouts. Featuring 5 reels and 243 ways to win, the extremely popular slot game will get you reacquainted with the likes of Batman, Joker, James Gordon, Rachel Dawes and many other that populate the reels as high value symbols. Receive 15 free spins at a 2x multiplier or greater when at least three scatters occur in any position, with a potential 4,000,000 coins to be won. 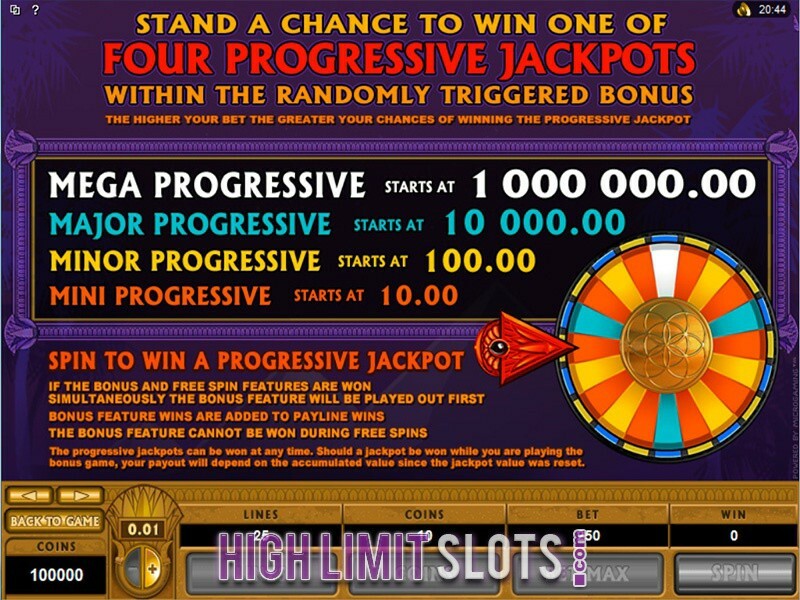 Batman and Joker can appear at any time during the game to award you a random prize, whereas the progressive jackpot game is activated at random after the conclusion of any spin. 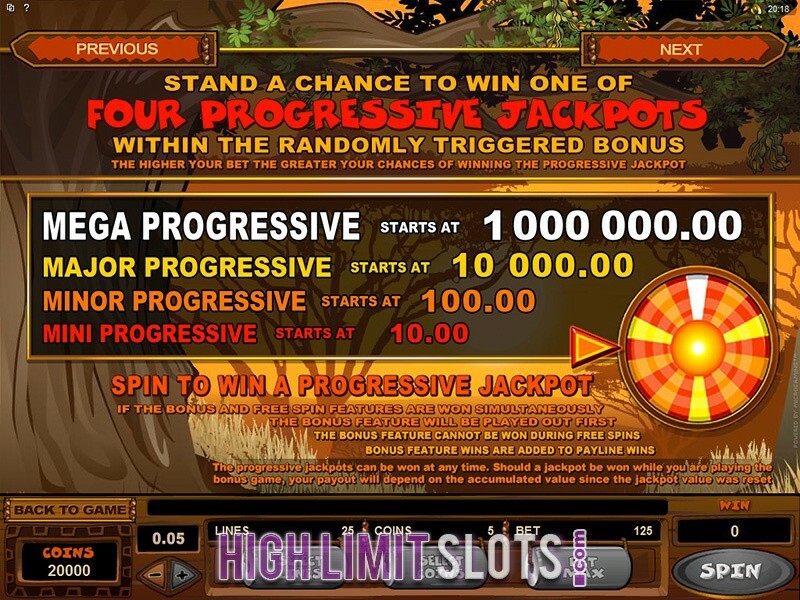 Should you be so lucky as to trigger this special feature you will win one of four progressive jackpots, with Mega progressive starting at whopping $1,000,000. 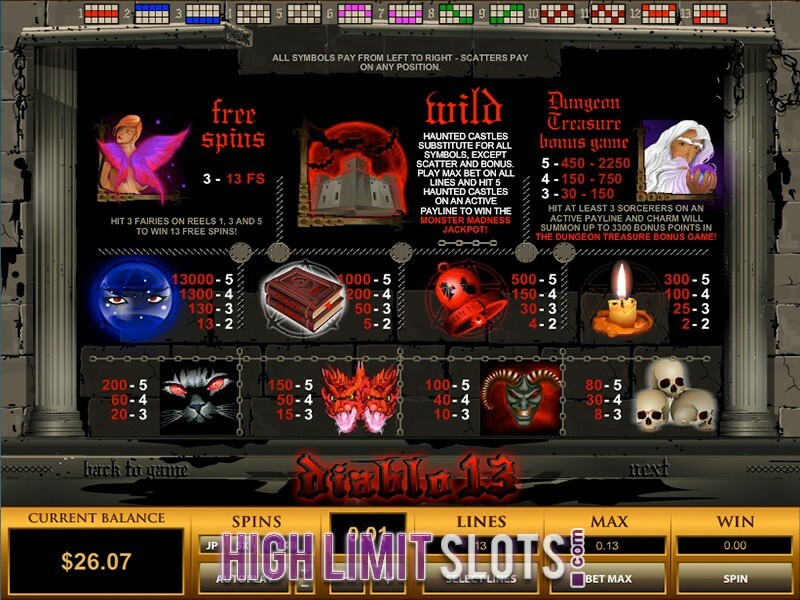 Treasure Twirl may be a classic three reel single payline slot machine, but you will be glad to hear it is equipped with quite a few special features and even comes with a progressive jackpot. Allowing bets up to 3 coins per spin and awarding payouts up to 30,000 coins during normal game, this video slot gives players excellent value for money. The Wheel icon is Wild and it substitutes for most other game symbols, whereas just one dollar sign occurring on the payline activates the bonus round. The wheel then spins to award you an instant cash prize. Get three wheel symbols to appear on the payline when betting maximum three coins per spin and you will win the progressive jackpot amount that usually awards in excess of $100,000. -	Know the game and its rules. Even though the element of luck dominates the game, it is important to read more about the progressive slot you want to play, especially about its pay tables. Depending on the slot, the game may be pretty simple, but it may also have a lot of extra features and confuse you. -	Bet the maximum amount of coins. 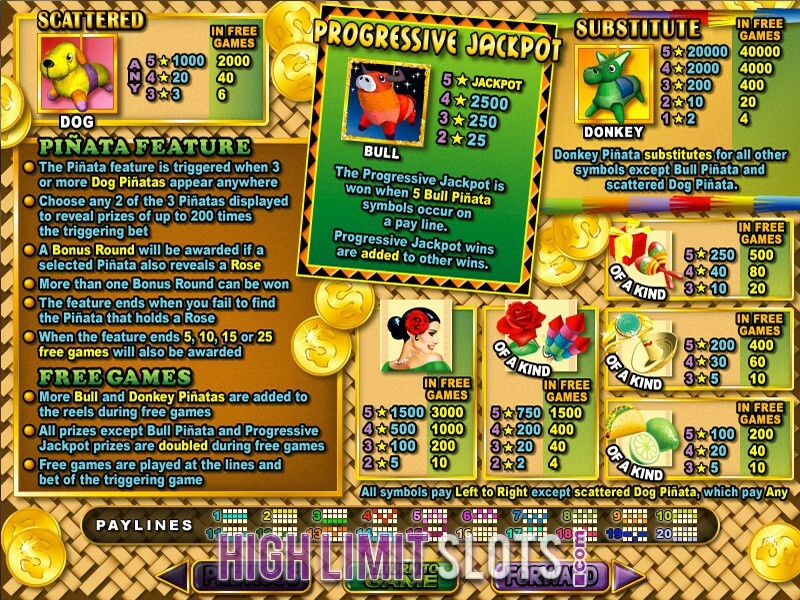 Almost all progressive jackpot slots require betting the maximum amount to be eligible for the jackpot. -	Set a spending limit and don’t focus only on winning the jackpot. You have all the time in the world to win a progressive jackpot and you don’t have to spend your entire bankroll in the first couple of spins. Luck is not always on your side. -	Play at your best. It’s easier to lose your head and spend more money than your initial bankroll if you are playing under the influence of alcohol or if you are not feeling well. 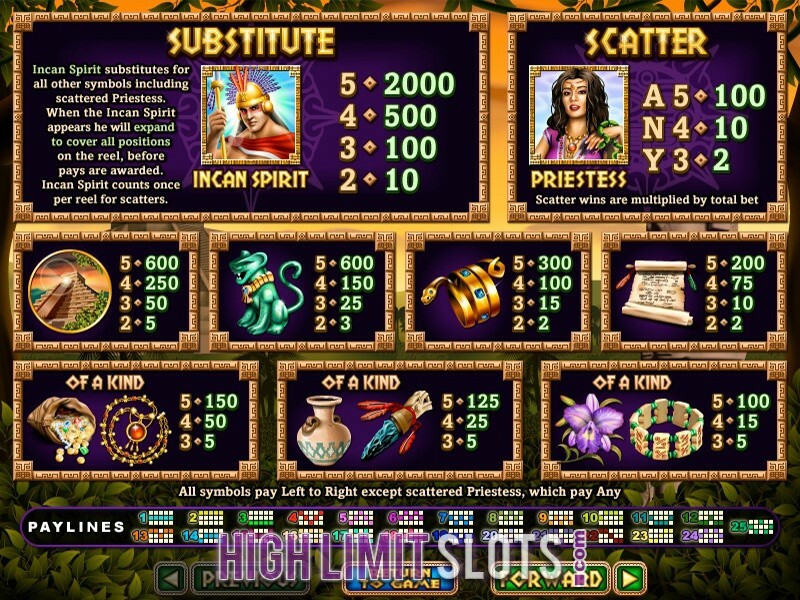 There are different types of slots jackpots and they all differ in form and size. When it comes to the biggest progressive jackpots, players should know the two types of progressives: the in- house and the network progressive jackpots. The first type of progressive is also called property progressive jackpot and it is linked only within one online casino site or sites owned by the same property. The jackpot pool is comprised from many similar slots played by a lot of players at the same site and players contribute to the pool by placing bets. This jackpot hits more often that the big wide- area progressive. The second type of progressive jackpot is linked across many sites and online casinos in a progressive network. The amount of this jackpot is truly life- changing and players from all over the world contribute to the jackpot pool. The odds of hitting this jackpot are very low, but it doesn’t mean that they are non- existent. - 888 Casino. This casino is run by many software providers. We suggest the following titles you can try your luck at: Millionaire Genie and Treasure Twirl (both by Random Logic) and Hulk (Cryptologic). The first one is a 3 reel, 1 pay-line classic slot that features wild and bonus scratch card symbol and its current jackpot goes over 3.5 millions. 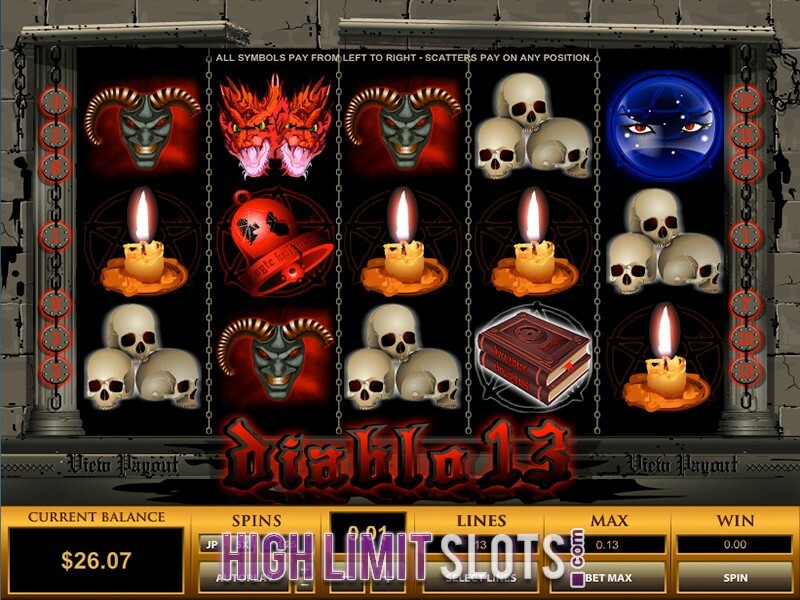 The second slot has 3 reels and 1 pay-line and comes with wild and bonus symbol as well as a big progressive jackpot. Hulk is a 5 reel, 9 pay-lines video slot based on the Marvel comic superhero and it comes with wild and scatter symbol, free spins and multiplier. Its current jackpot value is over 16 thousand dollars. - VideoSlots.com. Powered by Microgaming among other software providers, at this casino you can play the following progressives: The Dark Knight, Mega Moolah and Major Millions. 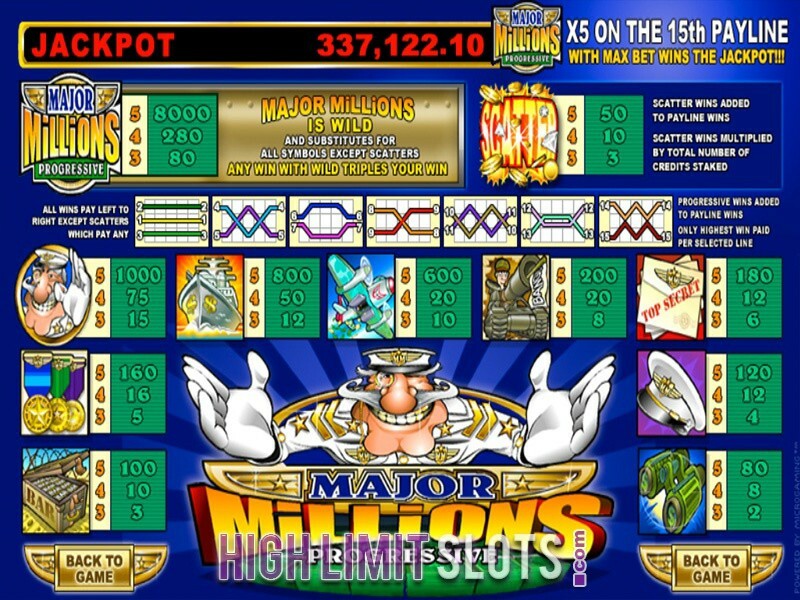 The first video slot has 5 reels and 241 ways to win and its current jackpot is almost 2 million dollars. The current progressive jackpot of Mega Moolah is also almost 2 million dollars and the game has 5 reels and 25 pay-lines. 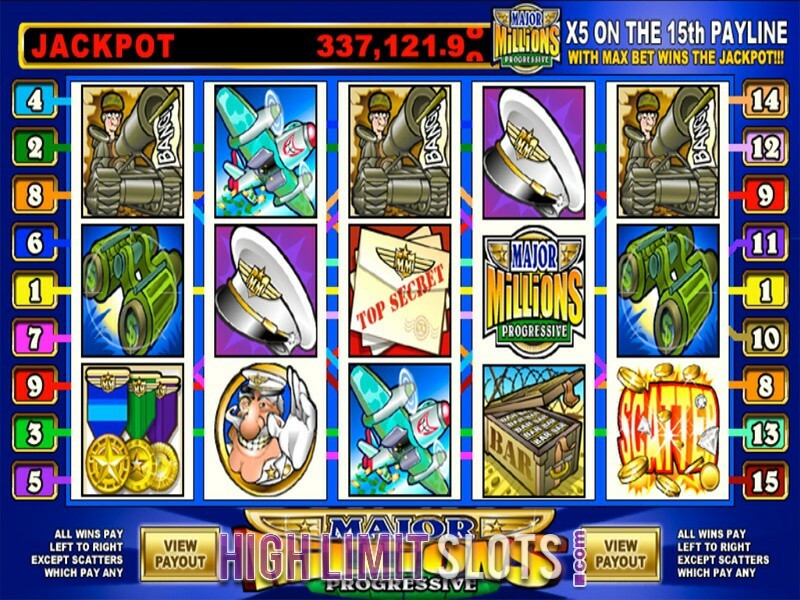 The third progressive video slot has 5 reels and 15 pay-lines and a jackpot of almost 300 thousand dollars. - William Hill Casino. At this well- known and reputable online casino you can check out the following Playtech- developed progressive jackpot slots: Gold Rally, Beach Life and Magic Slots. 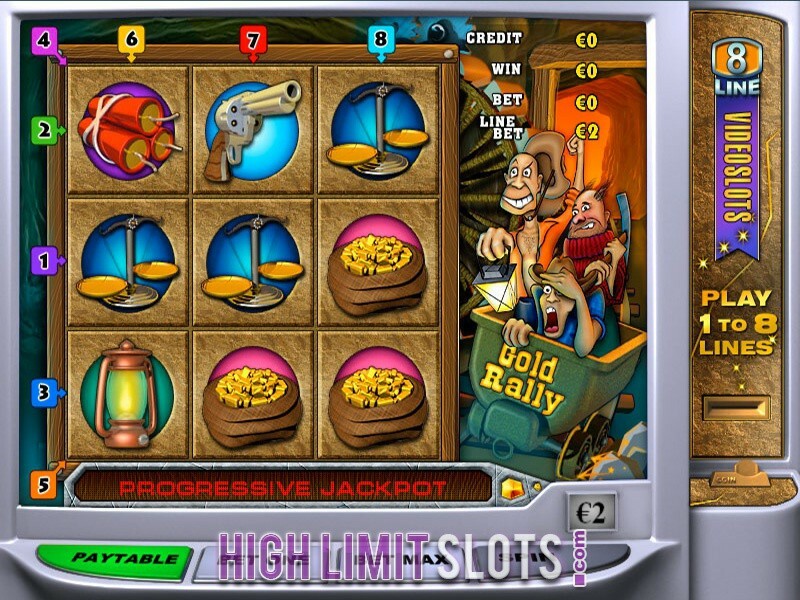 Gold Rally is a classic 3 reel, 8 pay-line slot whose jackpot currently goes over 3 millions. The second 5 reel, 20 pay-line video slot has a jackpot of over 500 thousand dollars, while the last slot is a 3 reel, 1 pay-line classic slot with a current jackpot of over 11 thousand dollars. -	Jackpot Piñatas. 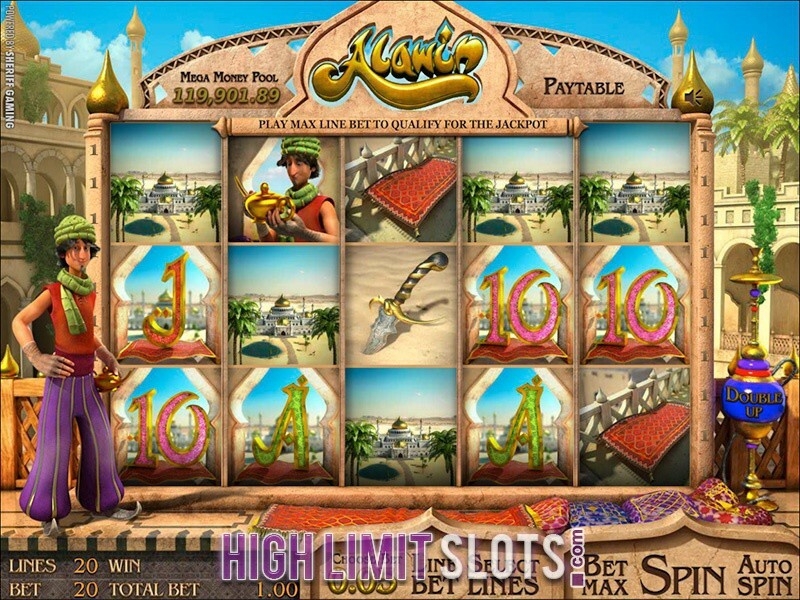 This video slot has 5 reels and 20 pay-lines and comes wild and scatter symbol, multiplier, free spins and has a current maximum jackpot win of over 1 million dollars. -	Aztec's Millions. 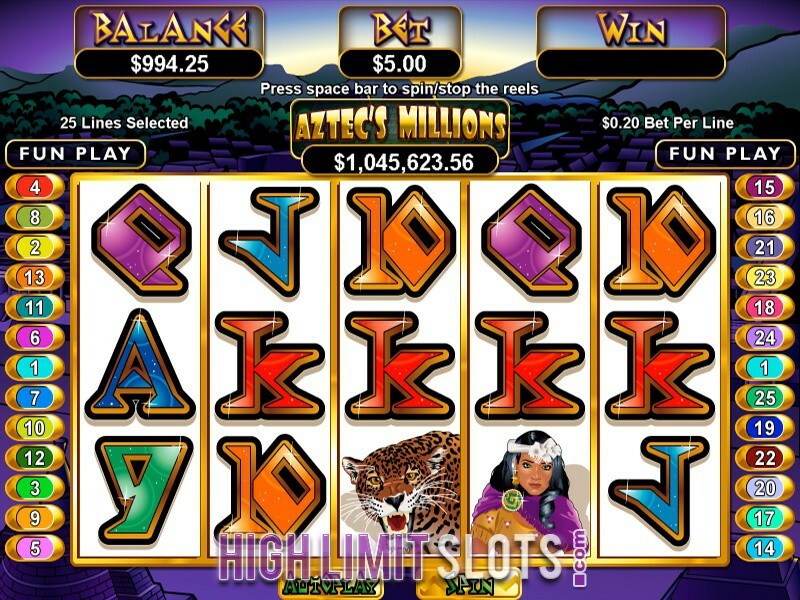 The jackpot of this 5 reel, 25 pay-line video slot goes over 1 million dollars and the game features wild and scatter symbol, multiplier and free spins. -	Jackpot Cleopatra's Gold. With a progressive jackpot of over 150 thousand dollars, this video slot features 5 reels and 25 pay-lines as well as wild, scatter, free spins bonus round and a multiplier.